We’re in the last days of 2016, and it’s a good time to look back as we plan for the future. On today’s episode, Mike Drues and Jon go over the many happenings in the medical device industry over the past year. Mike is a frequent guest on our show, and today we will be talking about the year in review. Some of the significant guidance documents that were new in 2016, including one on medical device reporting for manufacturers. Two guidances on when to submit a 510K and why these in particular are important. General wellness devices: What they are and what makes them different from regulated devices. Thoughts on the Use of Real-World Evidence guidance document. Why the guidance on 3D printing is so impactful. What might happen from a regulatory perspective in 2017, including more specific guidances and focusing on usability. Thoughts on whether the FDA should be in the business of putting out guidance documents. Jon Speer: This is Jon Speer, the Founder and VP of Quality and Regulatory at Greenlight.guru. 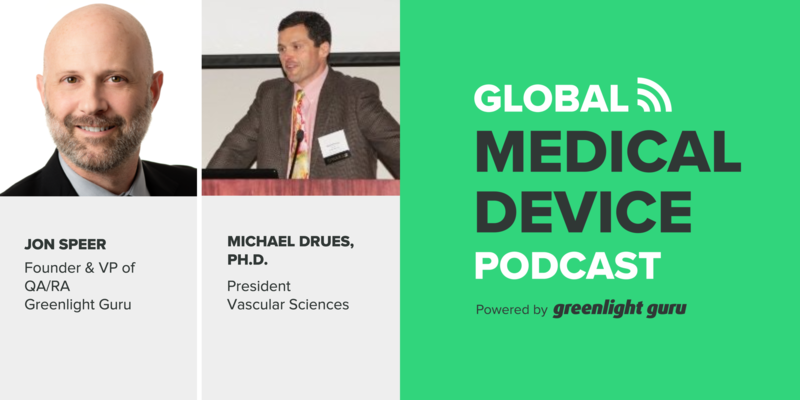 And on this episode of The Global Medical Device podcast, Mike Drues and I review 2016 and highlight some of the things that were a little bit more applicable and interesting for the medical device industry. 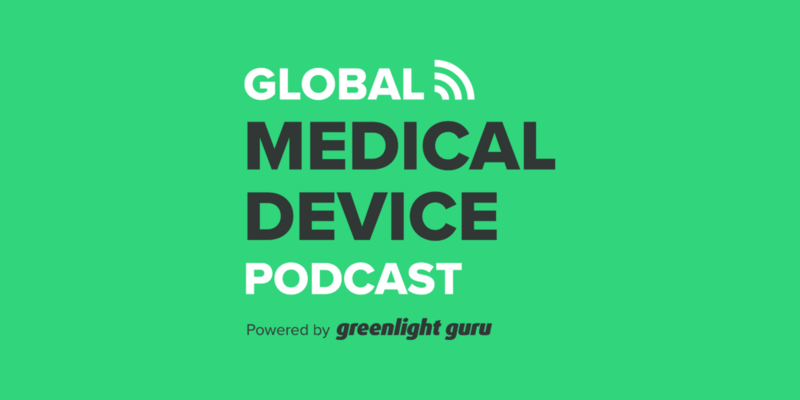 So sit back, relax, and enjoy this episode of The Global Medical Device Podcast. Mike Drues: Absolutely, Jon. Absolutely. Thanks for the opportunity to be with you and your audience today. As always, I appreciate that. Jon Speer: Sure. Well, most of the time, we stay pretty US or FDA-centric and certainly, there's been a lot of moments in the medical device community, outside the United States borders too. And maybe we'll hit on a few of those. But you and I were catching up just a bit ago and we were talking about some of the more significant standard or, I'm sorry, guidance documents that have been issued by the FDA in the 2016 calendar year. And I thought we might take a moment or two to talk about some of those that maybe are a little bit more impactful or a little bit more interesting to those of us in this industry. I know you have a short list. Do you wanna rattle off a few of those standards or... I keep saying standards, guidance documents. And let's talk a little bit about why those are important. Mike Drues: Sure, Jon, happy to do that. As we make this recording, we're literally weeks away from the end of 2016. And one of the most common questions that I get from companies is, what is gonna be happening next year, or in the years after. And in order to answer that question, we first have to understand how we got to where we are. That was part of my motivation for taking a look back, at least over the current calendar year, 2016. And basically, what I did was I took a look through all of the guidances that FDA had released, either in draft or final form, for 2016. Mike Drues: And by the way, just as a little bit of statistics for your audiences, in 2016, FDA... Well, I'm sorry. Overall, there are a little over 4000 guidances, 4051 guidances that FDA has put out in total. This is not just for medical devices. This is for drugs, this is for food, everything. Of the Medical Device portion of that pie, CDRH specifically has put out 861 guidances. And for this calendar year, 2016, this is through the very beginning of December, CDRH has issued 55 guidances either in draft or final form thus far. Mike Drues: Yeah, it is pretty significant. It's possible that there might be a couple that more that come out before the end of the year, but for the most part 55. What I did was I took a look through that list and I identified at least a few that I thought were the most important, and we can discuss them a little bit. Going from in reverse chronological order. In November, FDA finalized a guidance on medical device reporting for manufacturers. And the reason why I flag that one was because this is a constant source of questions that I get from companies in terms of if there's a problem with the device, how do we know how to incorporate that or document that within our quality system in terms of a complaint or possibly introducing a CAPA. More importantly, how do we know if we're required to let FDA know about that particular problem, under what circumstances, and so on. And although FDA has finalized this guidance just literally a few weeks ago, I think there's still a lot of ambiguity, a lot of gray area. Jon, since I know that you do a lot of work in quality which obviously involves complaints and CAPAs and so on, is this a guidance that you think is one of the more important for the calendar year? Jon Speer: Well, I think it's pretty important because most companies, well, hopefully have very few MDRs that they're reporting throughout the calendar year. And I know even as a person who's done this many times, documented the MDR and sort out all the FDA forms and submitted that off to the agency, I know it's still something that, for somebody who's done it before, is a challenging thing to do, not so much so that you don't know how to report information, the forms are a little bit tricky a there's different sections of what do I put here and what do I put there? I think it is pretty significant and impactful for the industry. Jon Speer: I know that the MDR program is pretty much in the same. I know now there's electronic MDRs, that's pretty important. It's pretty significant. But this is one of the areas where FDA is using to basically monitor what's happening with med device products and their usage, thereof, and especially if there's a risk to patients who are gonna be receiving these technologies. Yeah, I think it's pretty important. I think it's the area that usually any FDA inspection seems to start with, and then goes from there. Yeah, I think it's a pretty important guidance. Mike Drues: And I think also this topic of medical device reports obviously intersects with a number of other important topics, UDIs, universal device identifiers, as well as post-market surveillance. And so, for the benefit of the audience, Jon and I are probably gonna be doing another podcast soon, dedicated specifically on medical device reporting and this particular guidance, so stay tuned for that. Jon Speer: Yeah, and I think that, Mike, I think that's the trend that I've observed just wholistically from the agency, not just in 2016, but maybe over the past couple of years, is there's, obviously, a heavy emphasis on device safety, of course, but these guidance documents that we've seen, some of the things that we're gonna be talking about, even today, are all in that spirit. It's all about giving industry guidance on how and what and do with different topics like reporting and so on. And it's all in that spirit of safety. Jon Speer: We did that, year. Mike Drues: In the year. But again, there's another one of these topics that I get constant questions from industry. If we make a change to an existing device, be it a physical change or a software change, how much of a change can we make and keep that information internal to do simply what we call a letter to file versus if we make too much of change, we have to notify somebody outside of our organization, I.e., the FDA via a special 510(k) or a PMA supplement. And my short answer to that question is there is no answer to that question. [chuckle] We have to go through that analysis, that you and I talked about. And this is a topic, unfortunately, that gets a lot of medical device companies in trouble. Mike Drues: And again, Jon, would you agree that these two guidances together are another of the more important guidances that came out this year? Jon Speer: First, I didn't see... When these documents first came out and I... FDA has had a guidance document on when to submit a change, or when to submit a 510(k) for a change. It's had a guidance document on that topic for quite some time. And, at first, when those guidance documents, the new ones came out this year, I was a little concerned that this was suddenly gonna change "the rules", so to speak, in a dramatic way. And I was pleasantly surprised that no, not really. What these new guidance documents actually do is they are a little bit more refreshed, so to speak. They're a little bit more timely. I think the previous guidance document was published in the late 90s, if I'm not mistaken, right, Mike? Mike Drues: I don't remember, to be honest. Jon Speer: But it's been a while. They needed to be refreshed. And I think these new guidance documents are very helpful. But to your point, it's an area that companies are, even with these guidance documents, are confused about, what to do, how to do it, when to do it, what to document, where to keep that documentation, what should I report to FDA, and so on. And I really do think these guidances, especially for those companies who have products that have been cleared, that these two guidance documents will be very, very helpful, as changes are made to the devices that already have clearance. Yeah, I think it's pretty important. Changes are gonna happen to every medical device that are launched. Mike Drues: I agree, Jon. And one of the reasons why I singled this out on my list of important ones, is because in many cases, my inspiration, my precedence of what to do in the medical device regulatory world, comes from drugs because there's a lot of parallels. But this is an exception to that rule. In the drug world, product development is not very evolutionary, whereas, in the medical device world, it is. In other words, in the drug world, once a pharma company comes out with a drug, they absolutely do not wanna change it, in any way, shape, or form. But in the medical device world, as we all know, medical devices are constantly changing, constantly evolving and so this is something that the device industry continues to struggle with to this day. Jon Speer: They do, yeah. Mike Drues: And to be honest, this is not a criticism of the guidance or of FDA. The information in the guidances are useful, but I don't know that it really is going to solve that fundamental problem, that fundamental question of when to report a change and when not to. Again, we've talked about this topic before, and I'm sure we'll talk about it again, but in my opinion, it's another one of these evergreen kind of topics that the industry struggles with a lot. Mike Drues: The next guidance on my list that I thought was very important came out this past summer. And that is in the area of general wellness devices. What the heck is a general wellness device? Jon Speer: I was hoping you could answer that for me, Mike. Mike Drues: Well, perhaps this is another topic for a future discussion. I have a number of medical devices that I'm working on either now or in the very recent last couple of years, where we have one version of the device, that's a general wellness, that's a direct to consumer over-the-counter kind of a product. And another version of the same exact device, the physical device, that is regulated by FDA as a 510(k). And simply put, what it comes down to is not the technology, not the way it works, but rather what we say about it. There are many examples. I'll give one. Let's just take a simple heart rate monitor. The question is, is a heart rate monitor a wellness device or a regulated medical device that would require a 510(k)? Well, based on the information that I just gave, it's impossible to answer that question. You have to know what we're using it for. If we put a heart rate monitor in a FitBit and the patient is gonna use it just to monitor their heart rate during exercise to see if they're in their target zone, then clearly, that's a wellness device. Mike Drues: On the other hand, if we take exactly the same heart rate monitor and say, "Well, you have a heart rate of greater than 220 beats per minute, therefore, you have a tachycardia, or less than 60 beats per minute, therefore, you have a bradycardia, or some other kind of an arrhythmia, now it's definitely a regulated medical device. This whole area of wellness is a very fuzzy area. In my opinion, it doesn't make any sense to me to try to draw a line in the sand between unregulated devices, like wellness devices, versus regulated devices. But that is what FDA is trying to do here. What do you think of that? Jon Speer: Well, and I can imagine that the timeliness of this guidance is probably largely, you mentioned FitBit. I can imagine it's largely driven on things like that, the wearable technology that's pretty prevalent these days and even apps that are available on smartphones for weight management. And like you said, in keeping track of my heart rate and doing this and doing that. And I can imagine that it was those sorts of technologies that have become very mainstream where sometimes the line is a little bit blurry as to... Is this a medical device, or is it something else that's not a medical device? I can imagine that that was probably the driving force behind releasing this. And I would have imagined, we're gonna talk about some of the things that we anticipate to in 2017 in a few moments, but I would imagine that's an area that we can see a lot more, I guess, involvement or clarity or definition probably within the next year or so, because of how prevalent some of this technology is. Mike Drues: Perhaps so. There's a lot of work going on in the area of mobile medical apps which I've been working in for a very long time and there are tons and tons of examples. And you're right, this is going to be an area that is gonna become more and more important in the future. Regrettably, it's also one of the areas where I spend a lot of my time wordsmithing. Because really, what it comes down to is the high level labeling, designing your labeling for one version of a device that is not regulated and another version of exactly the same device from an engineering perspective, there's no difference, whatsoever, that is regulated. Mike Drues: This is another topic that if the audience is interested, we can get into. I just have two more examples of what I thought were some of the more important guidances for 2016. The next one also came out this past summer, and that is the use of real world evidence to support regulatory decision-making for medical devices. There's been historically, as your audience knows, FDA and most in this industry have considered the gold standard of clinical evidence to be the randomized clinical trial, or RCT. For a variety of reasons, I have never been a fan of randomized clinical trial data, not the least of which is the way we do clinical trials. It's just simply not realistic, not reflective in the way we practice medicine in the real world. They're just so artificial. Mike Drues: And so I've always been a huge fan of using real world data, or what FDA calls real world evidence, RWE, either in addition to or in some cases, in lieu of, randomized clinical trial, the gold standard. Well, historically, FDA has not been keen on that because that is often off-label use, and that's not something that FDA likes to talk about. But the simple reality is it happens and we have that data, and as long as that data is collected in a legitimate form, then we should be able to use it, in my opinion. Mike Drues: Well, FDA put out this guidance this past summer to try to start talking about this and to try to tell companies how they can try to use this, but I can tell you, Jon, from first hand experience, there is still a huge resistance within the agency to accept it. And I'll give you just one quick example. I said, this guidance came out in draft form just this past July. In August, actually no, I take it back in September, just about six weeks after this draft guidance came out, I was doing a pre-sub at the FDA, something that we've talked about before. Mike Drues: I'm down there about once a month doing pre-subs, and this was a pre-sub for a device that was already on the market. In fact, it already had two 510(k)s for exactly the same device and we were going back to the FDA a third time to do a label expansion, this time, under the Denovo. And FDA was pushing hard for the company to do a randomized clinical trial, I.e., the gold standard. Mike Drues: We said, "That's ridiculous, because we've already got six years worth of real data and here all of it is." And they were very resistant. And I anticipated this, Jon. I know, one of my basic philosophies is, you can't anticipate every problem or question, but you can anticipate many. I brought along with me a hard copy of that guidance, and when it came to that part of our discussion, I held this guidance up and I said, "Here. This guidance just came out last month telling me how to do what I'm telling you I wanna do. And then, more importantly, it makes more sense." Bottom line, politics aside, it's easy for people to say things, but the proof is in the pudding. This is another area where I think there's gonna be more and more change in the future, and that is specifically when and how we could use... Never mind artificial randomized clinical trial data, but real world clinical evidence, to support a regulatory submission. Mike Drues: Comments on that one, Jon? Jon Speer: Well, I think just the theme in general. The few standards that we've talked a few moments about is, it's important because the... And like you said, real world evidence, and what better case to show how my product is being used and received, and the advances of technology, than actual real world scenarios? Yeah. Thank you for sharing that story. I think that that's a good one. I would have liked to have been a fly on the wall to see how the rest of that story unfolded, anyway. Mike Drues: Well, hopefully, we'll have a positive result. And when we do, I'd be happy to disclose in a little bit more detail but because that particular product or that particular submission is still under review, for obvious reasons, I'm not able to do that right now. Jon Speer: Yeah, sure. Keep us posted. But I think, that's one of the things that's important and we're not gonna get into today is, the FDA's philosophy, per se, on when guidances are issued, and so on, and so forth. But I think if we look at the guidances that were issued in 2016, the general trend that if I were to draw a trend, I mean, it's well about reemphasizing the importance of product safety and reemphasizing, in some cases, like in your latest example here, the efficacy of technology and devices. I think that's important, and I think it's about always monitoring what's happening with your product and maintaining the device that you have and in the public use and for patients is reflective of what the agency has cleared and reviewed and approved or whatever the case may be, and always keeping your documentation and records up to speed with that, as well. I think that's the general theme, right? If I were to draw one. Mike Drues: I think so. And that brings me to my last example. The first four of the five, what I consider to be the most important guidances in 2016, were more of a general nature. The last one is a little bit more technology specific and it will sound familiar to some in the audience because we talked about this one before, but this past May, FDA came out with the guidance called Technical Considerations for Additive Manufactured Devices, also known as 3D printing. Mike Drues: And the reason why I single this particular guidance out, although it is a little bit more technology-specific, 3D printing is a form of personalized medicine. And as I've said, and as we've talked about before, personalized medicine is clearly the future. And we are 3D printing more and more medical devices all the time. In fact, there are more than 85 medical devices here on the market. Jon Speer: It's crazy. It's exciting. Mike Drues: In the US that are 3D-printed. And I've had my fingers in several of those are... But the most important thing that I would say about the 3D Printing Guidance, as we talked about in that podcast a few months ago is, like most guidances, there's nothing new here. As a matter of fact, on one hand, I say kudos the FDA for coming out with this guidance. But on the other hand, I say, shame on you because this guidance should have come out at least a decade ago, if not more. Jon Speer: Yeah, yeah, yeah, exactly, exactly. And there's other changes that have happened in other parts of the world that are a little bit outside the domain of FDA, that honestly, we're just not gonna be able to get into in this conversation. We might kick the 2017 year off or something like that, but just a 1345, there's a major revision to that standard that happened this year. I don't know if it will happen before the end of the year, but medical device directives and IVD directives in Europe are in the process of becoming regulations in Europe. That's pretty significant in some regards, as well. And those are things that are happening outside the US borders. Jon Speer: But I think when we... Let's take maybe just a couple of minutes. Let's talk a little bit about what we anticipate is gonna happen from a regulatory perspective, as best as we possibly can. Of course, Mike, if we could predict that, neither you nor I would be doing this podcast right now. I'm sure we'd have our own little island somewhere, sipping on a nice cocktail, enjoying an ocean breeze. But let's talk a little bit about what we think might happen from a regulatory perspective in 2017. Any thoughts, ideas about that? Mike Drues: Yeah, just a few. I think there are a few trends worth noting and one is with regard to guidance. I've seen a trend in the last few years for guidances across the board, not just for devices, but for drugs as well, to become more and more specific. Back in the day, 20 years ago, guidances were very general, considering the design control guidance from 1997, you and I talked about that before. That's a very, very general guidance. And in my opinion, that's a big advantage. But in the last few years, FDA has put out some guidances on very, very specific topics. Mike Drues: One that comes to mind in the area of combination products, for example, is glass syringes. That's a pretty specific topic. That's one trend is they're becoming more and more specific. But I also see some holes, some gaps. Another topic that you and I have talked about a little bit in the past, and perhaps we'll talk about again, is usability or human factors or ergonomics or whatever you wanna call it. There's been a number of guidance that have come out in that area in the last few years. But again, in my opinion, the way we do most usability studies today, really, they're pretty bad. Just like the way we do a lot of randomized clinical trials. We can do a heck of a lot better. Mike Drues: In the area of reprocessing medical devices. If you have a device that will able to be used more than once, how do we make sure that it's clean and either high level disinfected or sterilized or what have you, properly? FDA put a guidance out on that last year, but there's still an awful lot of work to be done in that area. 3D printing, I mentioned a moment ago, that's clearly the future. We need more along those lines but I see the driving force for all of this coming from industry. At least, it should be, not from FDA. Politics, I hate to say it, but we can't separate regulation from politics. As we make this recording today, we're literally in the wake of our recent political election here in the United States. Many of the new guidances are now on hold until the new administration comes in. And perhaps the best example of that is the whole area of lab develop tests, or LDTs, something that we did a podcast on recently. And I could go on and on, but those are just a few of what I thought was important. Jon, I'm curious as to what you think is important and especially anything on the quality side or risk management or anything like that, what do you think is important there? Jon Speer: Yeah, and I took a peek at the FDA, every year they publish strategic priorities. And this is actually a document, it's been out for the 2016 in 2017 strategic priorities, and I'm not gonna read this by any stretch, but I certainly will provide a link to this and the other items that Mike and I have talked about today. But some of the high level bullet points that established a national evaluation system for medical devices. I think that's interesting because... Well, like you and I spoke prior to our podcast this morning that, that's something that... Well, frankly, is something we should have in place long before now. Jon Speer: I think we've seen a lot of movement though with things like UDI becoming implemented in more mainstream for many of our products. I think that's an initiative that's largely driven to help support that sort of initiative. I guess it's good that we're gonna have a means for doing that. I think we can see some of the MDR guidances and some of the wellness and the real world and all that sort of thing. Those are all examples that that support that particular initiative. The other one I think is interesting is on this, I'll just touch on the last one here is, promoting a culture of quality. Jon Speer: And, [chuckle] I chuckle because the quality system regulations, well, they're not new, folks. And outside the United States ISO 1345, also not new. The expectation that companies have quality management systems in place for their company medical device companies. This is long, long, long been expectation and frankly, law for companies. But I guess to see that there's this renewed focus or energy around that, I'm gonna say with optimism, I'm encouraged by that. And so, hopefully, medical device companies are paying attention because all of these things that we're seeing from the agency on guidances and strategic initiatives and so on are really an indicator of how we can expect the FDA to regulate the products that we're developing. These are just really some really insights into the agency to help us do a better job of making products that are safe and more effective. Mike Drues: Well, I couldn't agree more, Jon. And just to wrap up, at least my part of the conversation. I started out by sharing some statistics with the audience. FDA has put out over 4,000 guidances in total, almost 900, specifically on medical devices. But to end our discussion, one could easily ask the question, should FDA even be in the business of putting out guidance documents? In other words, is that part of their job? Many would argue that it's the job of the company to figure out how to best develop and test a medical device, ensure that they have systems in place that achieve all of those quality objectives that you were referring to in terms of reliability and consistency and so on, and so on. And we should take that information and basically sell it to the FDA, should FDA's job be to tell companies how to do what, quite frankly, the people in those companies should know how to do anyway. And I would argue that those people in the companies should know how to do those things a heck of a lot more than the FDA does, right? It's a very interesting question. Any thoughts on that? Do you think that FDA should be in the business of putting out guidance? Jon Speer: Well, I think, with that, you got the gears turning as you made those comments. To think about it in that regard, maybe we'll leave this as a philosophical question for the audience to ponder as they go into year end or beginning of year's festivities. But when we have regulatory bodies that are dictating or establishing the steps and which we should be basically implementing regulations, telling us how to do things is, well, do you want a regulatory body telling you how to do stuff? It doesn't matter if it's... You're related to the quality of your product, or to how you design and develop or what to do with, if this sort of issue occurs. If you want a regulatory body that's going to dictate and tell you what to do, then you're a fan of FDA writing guidance documents. Mike Drues: To put it in a very slightly more pragmatic terms, I don't know what percentage overall of FDA resources are used to generate guidance documents. But what I can tell you is that one of the most common questions I get from companies is, how long will it take for a our regulatory submission to go through? Well, if, for example, the new administration said to the FDA, "We don't want you to spend any time anymore putting out guidances. Instead, devote those resources to reviewing products in a more timely fashion." How much more could we get the review timed up? Mike Drues: Something to think about it. I think that's a good rhetorical question but something to think about. Jon Speer: Absolutely. I can imagine that offering 55 or whatever the total was, for 2016 guidance documents, took a significant amount of resources. And yeah, that's a really interesting philosophical question. What if we shifted even half of those resources to reviewing submissions? I bet industry would be a little bit happier with the review time. On that note, Mike, we're gonna leave that one linger with the audience for a bit and get people thinking about that. And I could spend a great year of the Global Medical Device Podcast. Of course, thank you for being a repeat guest. And I've enjoyed all of our conversations today. Look forward to many more in 2017 and beyond. Mike Drues: Well, thank you, Jon. As always, I greatly appreciate the opportunity to share the stage with you. I look forward to continue this series in the new year. I wanna wish you and your family and all of the folks in our audience, both people new today, as well as people that have been listening for a while, health and happiness and success in the new year. And if there's anything that Jon or I can do to help in the future, please don't hesitate to contact us. Jon Speer: Alright. Thanks, Mike. Again, that's Mike Drues D-R-U-E-S, Vascular Sciences. Look him up on LinkedIn, reach out to him. If you want to contact him directly, let me know. I'd be happy to make that introduction. And again, this has been Jon Speer, the founder and VP of Quality and Regulatory at Greenlight.guru.